This Mother’s Day marks the 100th anniversary of mother’s day. For centuries, however, it’s mothers who have been the care givers working hard to support the family in immeasurable ways. As we search for the best gifts and best ways to express gratitude to our mothers, can we truly place a value a mother holds in a household? There are some things we don’t want to consider when we think about our loved ones, such as what we would do without them. Until we are without them, these things don’t come to mind. Considering what could be in the event of such as loss is something many of us avoid discussing even though we should be. The value of a mother is priceless, and hard to place a financial figure with. She is a chauffeur, a chef, a housekeeper, a tutor, and so much more. In 2013, MSN compiled a chart based on the expenses required if one were to pay for the tasks of a mother. The value of $62,000 per year was based on occupational wages from the Bureau of Wage Statistics, and this does not include any income the mother may be providing in addition to her motherly duties. If you are in a dual income household, the mother of the household could extend above a $100,000 per year value. Most families cannot afford to replace that financial loss on a yearly basis. Unfortunately, most families are also either under insured or not insured at all in the event of such a terrible loss. To calculate an amount of life insurance needed to prepare for such an event, consider all that a parent does for a family and how much it would cost to replace what that parent provides. The solution is to invest in life insurance to protect your family! Mothers tend to be underinsured. Married couples are less likely to buy individual coverages, and most single mothers have not even considered life insurance. Calculating how much life insurance to purchase depends on a family’s circumstances. Aside from the painful expenses of medical bills and funeral costs, we must also consider her household duties, the income she brings to the household, household bills including mortgages, childrens’ education and so much more. Recently, SouthGroup Gulf Coast welcomed Mike Reso to our team. Mike has 10 years experience in financial planning, life and health insurance. Mike has opened our eyes to a lot of important situations to consider, just like this. SouthGroup is focused on personalized insurance to fit individual’s unique needs, and Mike’s professional experience in financial planning allows us to better serve your family’s life insurance needs. Insurance and financial reviews are always free with SouthGroup, and our professional team of trusted choice agents are eager to assist you. If this blog has you thinking, then be sure to thank your wife and your mother for the great service she has provided you, and be sure to give us a call to discuss your life insurance needs. 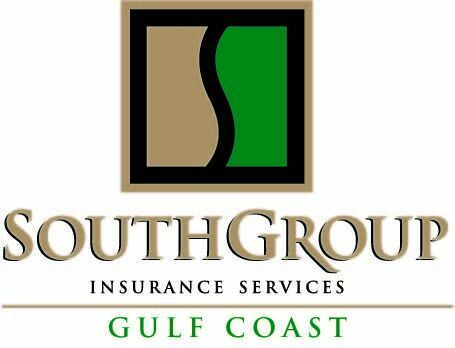 We are your LOCAL Trusted Choice Advisors, SouthGroup-Gulf Coast http://www.southgroupgulfcoast.com , SALES AND SERVICE AGENTS: Angelyn Treutel Zeringue, Tammy Garfield, Tammy Hogue, Brittany Jones, Denise Russell, Melissa Moran, Alex Treutel, Susan Monti, Anne Gillam, Ashlie Moody, Michael Reso, Mark Strickland, and Whitney Zimmerman at SouthGroup Gulf Coast. You can reach us by snail-mail or in person: 412 Hwy 90, Suite 6, Bay St Louis MS 39520, email: atreutel@southgroup.net , phone: 228-466-4498 fax:888-415-8922, FaceBook www.facebook.com/southgroup.gulfcoast, or Twitter www.twitter.com/atreutel !